Safety First carries out LEV inspection and testing in the workplace to help companies ensure that they are fully compliant with COSHH regulations. Many jobs across different industries involve work processes that create dust and fumes, which when breathed in can cause diseases, such as asthma, lung scarring and cancer. 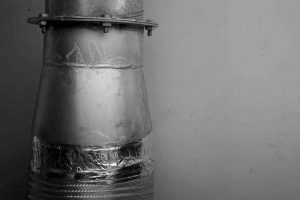 Local exhaust ventilation (LEV) systems, also known as extraction or fume control, are used by businesses to control dust and fumes. Over time, the performance of LEV systems can decline, due to wear and tear or blockage. This is why regular inspection and testing – every 14 months to comply with COSHH – is necessary ­to ensure the systems are operating effectively and hazardous substances are kept controlled. Our qualified occupational hygienists are experts in local exhaust ventilation systems. They will monitor and analyse system performance data, as well as perform qualitative evaluations on the control of potential contaminants. Measurements from the test results are compared with the original LEV specification and performance criteria outlined in HSG258. Safety First will produce reports and records that will assist your business in improving control measures, plus serve as evidence of your company’s compliance with COSHH regulations.